Hosted by a male/female team, this show offers balanced perspectives, and diverse viewpoints. It’s dedicated to all people who want to transform their relationships, finances, communications, and work from mediocrity to magnificent. You won’t find stuff and fluff here -- we deal with significant life issues. Darren Dake is a business leader, national speaker, pastor, and author. 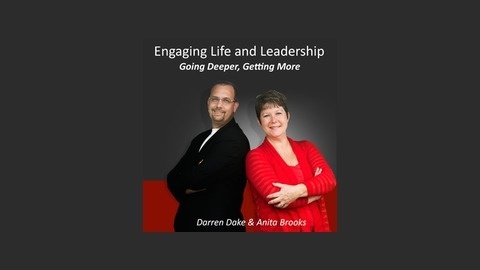 His co-host, Anita Brooks, is a business coach, certified personality trainer, efficiency expert, communications specialist, national speaker, and author. Our topics are relevant to everyday living and leading. You may not carry the title of leader, but we all lead someone. Whether it’s your children, your spouse, other family members, friends, co-workers, or another person who hangs on your every word and action. Here’s our reminder, “You are leading someone, the question is, are you leading well?” We offer effective leadership skills, practical solutions, and real-life examples that are easy enough to remember, and simple enough to apply. Our listeners are: Entrepreneurs, Solopreneurs, small business owners, presidents, CFO’s, board members, faith-based leaders, pastors, household CEO’s, and the everyday man or woman working their way through life. 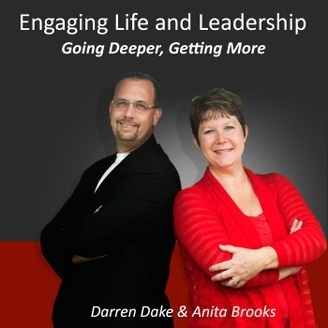 Send questions and feedback to www.engaginglifeandleadership.com or direct them to darren@darrendake.com or anita@anitabrooks.com. Find author Darren Dake’s books at his website, www.darrendake.com, or amazon.com, and author Anita Brooks’s books at www.anitabrooks.com, amazon.com, or fine bookstores around the world. The following are strictly for SEO search results: darrendake, darrendake.com, pastor, church pastor, business leader, leadership training, author, national speaker, anitabrooks, anitabrooks.com, business coach, inspirational coach, certified personality trainer, efficiency expert, communications specialist, keynote speaker, business conferences, employee training, productivity expert, first hired, last fired, become irreplaceable at any job, healthy relationships, marriage, health, life issues, success secrets, leaders, work ethics, business with integrity.